C. Douglas Elliott has been named Vice President for Institutional Advancement at Germanna Community College. He will also serve as Executive Director of the GCC Educational Foundation. His responsibilities will include planning, leadership and implementation of all college fundraising initiatives, grant writing, planned giving, endowment, scholarships, and alumni research and records, grant writing, planned giving, scholarships and alumni and parent engagement programs. He will also be responsible for planning, leadership and implementation of all college marketing and public information activities and high-level support for community and government relations activities. Elliott will lead a team of development and marketing/public information professionals and administrative staff. He was an instructor for a number of years at Rollins College’s Philanthropy and Nonprofit Leadership Center. Elliott has served in leadership positions in advancement and marketing for a diverse group of nonprofit institutions from higher education to social service agencies to global entities such as the Smithsonian Institution and the International Centre for Missing and Exploited Children. At the Smithsonian, he was Director of National Development from 1997-2003. 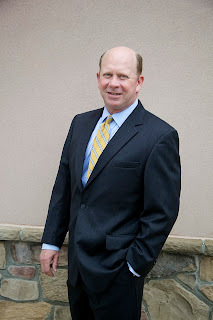 At the International Centre for Missing and Exploited Children, he served as Vice President of International Development and Marketing from 2003-2006. Previously, he had served as vice president for several publishing firms and then as president of his own award-winning company, Elliott & Clark Publishing, which he founded. He coauthored two books, Florida Rediscovered and Vietnam: Images from Combat Photographers. Elliott is an avid outdoorsman and student of American history. Germanna Community College will begin offering classes in partnership with the University of Mary Washington at UMW’s Dahlgren campus for the fall 2013 semester on Tuesday, Aug. 20 as part of a pilot program to gauge interest. The first three classes Germanna will offer at Dahlgren are Calculus with Analytic Geometry 1, Calculus with Analytic Geometry 2 and Introduction to Engineering. “Germanna is continuously seeking new ways of responding to the educational needs of area active duty members of the armed services, veterans, and their families,” said GCC Vice President for Academic Affairs and Student Services Ann Woolford. The three classes are part of the college’s Engineering curriculum. Students who earn an Associate of Science degree in Engineering at Germanna and transfer to a four-year college or university are on a less expensive path to a Bachelor of Science degree in Engineering. 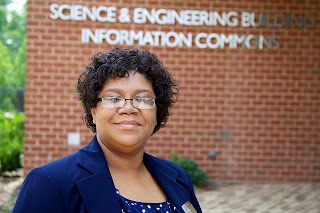 Dr. Davyda Hammond, Germanna’s Engineering Department chair said. Germanna Recruiter Kimberly Viarella will present information sessions for potential students on Wednesday, July 31 at the Dahlgren campus. 1600 - 1700 Overview of Germanna programs. 1700 - 1800 Germanna representatives will answer questions and accept unofficial transcripts. For more information, call Germanna Recruiter Viarella at 540-834-1961 or email her at Kviarella@germanna.edu. The UMW Dahlgren Campus Center for Education and Research opened in January 2012, and is designed to support the continuing educational and professional development of the region’s engineers, scientists, and administrative professionals by providing educational programs, services, and leased facilities to the Naval Support Activity South Potomac commands, defense contractors, and the professional community. The center is located at 4224 University Drive in King George County. 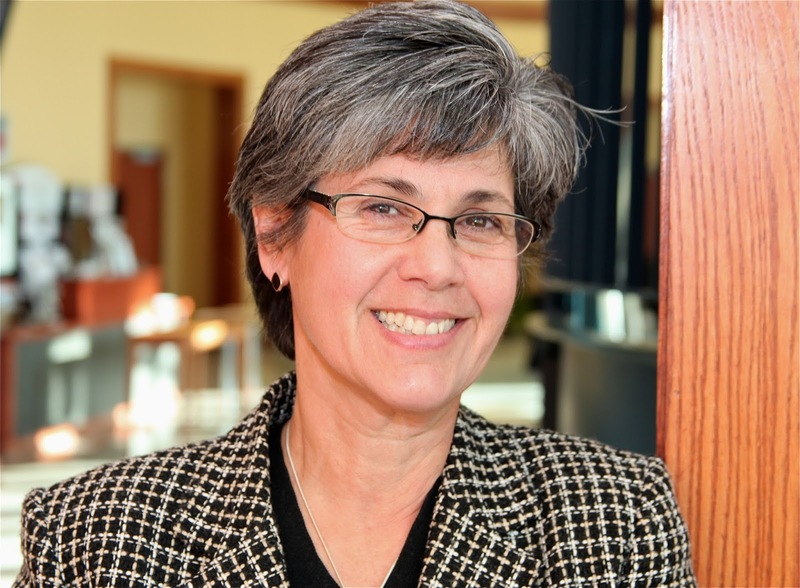 Martha O’Keefe, Dean of Workforce and Professional Development at the Germanna Community College Center for Workforce and Community Education, has been appointed to the board of the National Council for Continuing Education and Training. NCCET, which is based in Columbus, Ohio, is committed to keeping members up to date on new trends and cutting edge programs from across the country. O’Keefe was appointed one of three At-Large Directors. In November 2012, O'Keefe received the Patricia Lacey Metzger Award for achievement during the 19th annual Leadership Colloquium for Professional Women at the University of Mary Washington. Sara Tenda, a 2013 Germanna Community College graduate, is spending her summer as part of a group working on developing better treatments for high-risk neuroblastoma patients. She’s doing lab research at the Cell & Molecular Biology Section, Pediatric Oncology Branch of the National Cancer Institute, near Bethesda, Md. According to the National Cancer Society Web site, neuroblastoma is a form of cancer that develops in the nervous system of embryos and fetuses and affects young children. Tenda and fellow Germanna student Ulisses Santamaria are part of the 2013 National Institute of Health Community College Summer Enrichment Program. It’s intended to boost the number of community college students who plan on careers in health care and research as they transfer to four-year colleges and universities. In addition to doing full time research in a laboratory or on an NIH project, they take courses and attend workshops. Tenda and Santamaria are early success stories for Germanna’s new Experiential Learning internship program. She says she hadn’t decided whether she wanted to go into medical research or become a practicing physician. Now Tenda is leaning toward clinical research or becoming a physician. She plans to apply to medical school after getting her bachelor’s degree at VCU. Tenda, who is 36 years old, lives in Spotsylvania County. She’s a graduate of Potomac High School in Dumfries. Santamaria, an 18-year-old Spotsylvania County native and Courtland High graduate, is being mentored by Dr. Alon Poleg-Polsky in research involving the structure and function of the retina at the National Institute of Neurological Disease and Stroke in Bethesda. The work involves investigation into how the retina performs preliminary image processing and transmits visual information to the brain. In an email, he says he’s been studying contrast sensitivity in mouse retinal ganglion cells. The work is not for the squeamish. Like Tenda, Santamaria says he’s learning a lot in a short time and he loves it. Santamaria says Dr. Trudy Witt, an assistant professor of biology at Germanna, is one of the teachers who made a difference for him. Please join us in a Celebration of Life in remembrance of Mary Blessing Gilkey, M.S.N., PMHCNS-BC, Germanna's Dean of Nursing & Health Technologies, to be held at 7 p.m., Thursday, Aug. 8, at the Daniel Technology Center, 18121 Technology Drive in Culpeper. The event is open to the public. For more information, please email pshifflett@germanna.edu. Germanna Community College’s new Dental Assisting Program is helping to fill in some of the holes that make up our area’s skills gap. The state of Virginia began requiring training for the job in 2010 on two levels. Since then, qualified dental assistants have been hard to come by. “We’re putting trained people out there in the workforce,” said Misty Mesimer, GCC’s Dental Assisting Program Director and Dental Hygiene Program Local Coordinator. Dental Assistant I requires a certificate. 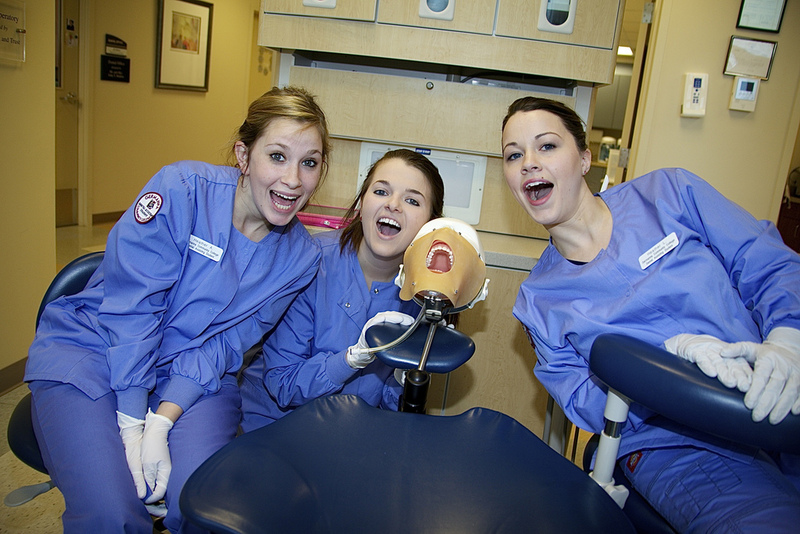 GCC’s certificate program prepares students to take the national dental assisting exam in one year. After passing that exam, students are eligible to pursue a Dental Assistant II degree. Dental Assistant II requires an associate’s degree. Germanna and Northern Virginia Community College jointly offer an Associate of Applied Science Degree in Dental Hygiene through a distance learning partnership. 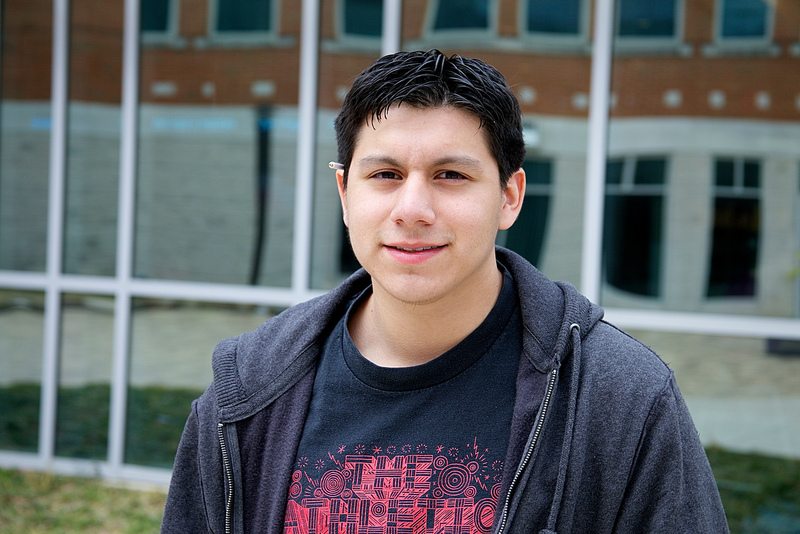 Students may complete general education courses at Germanna. Dental assistants with a degree may earn $17 to $21 an hour, Mesimer said. In one 14-day period, students and faculty at GCC’s Dental Assisting clinic provided $14,206.00 worth of dental services (exams, cleanings, x-rays, fillings, and extractions) to the community. Germanna’s Dental Hygiene Program provided in kind dental hygiene services to adults with development disabilities amounting to $29,346 for all of the 2012 calendar year. Shashuna Gray had straight A’s until she took a biology class in the tenth grade. The toughest teacher she’d ever had gave her a B. But, because of his approach to teaching, she decided to become a biology teacher. “It wasn’t just about the answer,” says Gray, named Germanna’s new dean of the Arts and Sciences in June of 2013. “It was about why the answer was important and how it would impact you. Too many students just repeat facts, and they become disengaged and disinterested.” She says too many decide they don’t like science because they don’t understand how it relates to them as individuals. At Germanna, she says, helping students succeed goes well beyond the classroom. Germanna students, she says, “find themselves in an environment where they can come to faculty when they have other problems--not just enrolling in classes and having their financial aid approved. She has 19 years of college teaching experience. Eight of those years have been in the Virginia Community College System. A doctoral student in Old Dominion University’s Community College Leadership Program, Dean Gray has both a bachelor of science degree and a master of science degree in biology from Alabama State University. 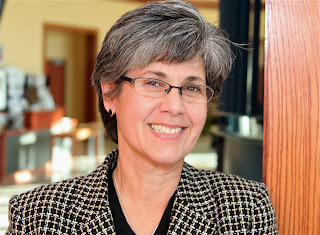 She spent the last year serving for a year as acting dean of Arts and Sciences. Before that, she was a faculty member teaching biology and microbiology. Dean Gray, who lives in North Stafford, has a daughter attending Germanna and two younger children. Germanna students are encouraged to enter the Made in FredVa business plan contest to be held Oct. 30 at the University of Mary Washington's Dodd Auditorium. The winner will receive $10,000 toward starting up a business. See details and link to application below, provided by the Fredericksburg Regional Chamber of Commerce's Next Generation of Business Leaders group, which is organizing the event. Made in FredVA is a business plan competition organized by the Fredericksburg Regional Chamber of Commerce’s Next Generation of Business Leaders. Made in FredVA’s mission is to encourage entrepreneurs in the Fredericksburg Region to pursue their business ideas here in the community, and contribute toward an entrepreneurial ecosystem in the area. The competition will culminate with an event in the fall of 2013 at which, the finalists will “pitch” their business plan to a panel of judges. Anyone is eligible to apply for Made in FredVA; however, in order to receive the grand prize, the proposed business must be located in Planning District 16, which includes Caroline, King George, Spotsylvania and Stafford counties and the city of Fredericksburg. The proposed business must be a company that is not yet established or a new division of an already established company. Made in FredVA will consist of two rounds of judging. For the first round, a panel of ten judges will read each application and select five finalists. Once the five finalists have been chosen, each finalist will be assigned a mentor to advise the applicant and assist in refining the applicant’s business plan. The second round of judging occurs at the final event in the fall of 2013. At this event, the five finalists “pitch” their business plan to a second panel of judges. This panel of judges will pick the winner and award him/her with the competition prize. All of the Made in FredVA’s judges are successful members of the local business community. Each of the five finalists will receive a medal for their participation in the competition. The winner of Made in FredVA will receive $10,000 towards start-up costs for his/her proposed business. The prize money will be awarded to the winner in the form of reimbursements for approved business expenses. The Next Generation of Business Leaders’ Board of Directors will approve all submitted expenses before issuing any funds. Businesses operated outside the Fredericksburg Region will not be eligible to receive the funds. All money not disbursed within 12 months of the 2013 contest date (by Oct. 24, 2014) will be retained by the Next Generation of Business Leaders for future Made in FredVA events. All Applications must be submitted by 5 pm on Sept. 5, 2013. There is no fee to apply. Complete all the answers; if there is a reason that a specific question is not applicable, please explain. Applications must be typed. For an electronic version of the application, please contact Whitney Watts at whitney@fredericksburgchamber.org. Contact Whitney Watts at 540-373-9400 or whitney@fredericksburgchamber.org. Students at some of Virginia's community colleges have been contacted by "honor society businesses" falsely claiming to be affiliated with the schools. One email urged students to “Activate your John Tyler Community College HonorSociety.org membership.” Some students have paid fees without question. Students are advised to ask a trusted professor and refer to this Association of College Honor Societies standards alert and Community College Success' "Honor or scam?" blog post before acting on "honor society business" e-mails or letters. Germanna Community College and Culpeper-based Rappahannock-Rapidan Community Services have reached an agreement that will ease and expand mental health services available to students on the west side of its service region. Germanna and the Rappahannock Area Community Services Board, based in Fredericksburg, came to a similar agreement in March 2013. "RRCS Emergency Services Department staff are excited about this collaboration, and welcome this opportunity to be of assistance to Germanna counseling staff making referrals in potential emergency and non-emergency situations,” said Debra R. Pulaski, M.A. Coordinator of Access and Emergency Services for Rappahannock Rapidan Community Services. “We’re looking forward to providing prompt mental health evaluations and crisis intervention counseling services to Germanna students, faculty and staff." As part of the agreement between Germanna and the Rappahannock-Rapidan Community Services, RRCS will designate one or more emergency clinicians as a point of contact for the college and make them available as necessary to determine the appropriate action in a potential emergency situation involving a student or employee. It will also provide assessment and counseling in non-emergency situations by appointment. And it will make emergency clinicians available as necessary to assist the college’s Threat Assessment Team. Germanna serves the city of Fredericksburg and the counties of Culpeper, Madison, Stafford, Spotsylvania, Orange, King George and Caroline. 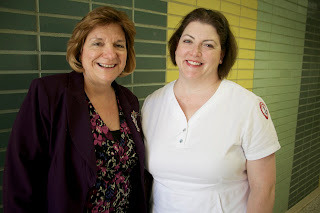 Germanna Community College has named Dr. Patti Lisk RN to succeed Mary Gilkey as its Dean of Nursing and Health Technologies, effective July 25. Dean Gilkey passed away June 25th at VCU Medical Center in Richmond as a result of heart failure after a long battle with an autoimmune disorder. She was 55. “Germanna is grateful for the steady leadership in our Nursing and Health Technology programs that has been provided by many good folks in that area during Dean Mary Gilkey's extended illness,” GCC President David A. Sam said. ”Faculty and students have been through emotional upheavals and challenges. Meanwhile, reaccreditation of our nursing program is due next spring." Technologies, with 2013 graduate Kim Casey. “Among those stepping forward during this difficult time has been Dr. Patti Lisk,” Dr. Sam said. “While a full and open search process is vital to the integrity of our hiring process, there are times when an emergency appointment is warranted and appropriate.” he said. 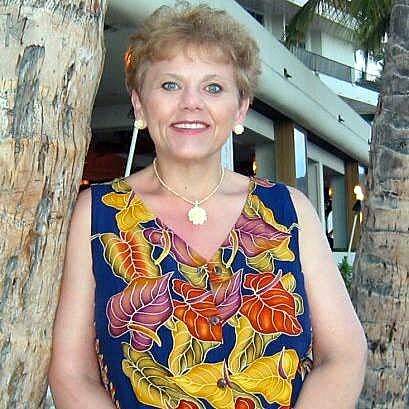 Dr. Lisk has been a nursing faculty member at Germanna since 1983. She has taught full time since 1986. Dr. Lisk wrote the original grant for the purchase of human patient simulators that began Germanna’s Virtual Hospital. She developed scenarios that address student learning needs throughout the nursing curriculum. In her work with nursing students , she has orchestrated increasingly complex and realistic Virtual Hospital’s experiences that allow students to think critically and make clinical decisions in a safe, controlled learning environment. Among many honors Dr. Lisk has received are the VCCS Technology in Education Award and the Virginia Outstanding Faculty Award, both in 2007. Germanna Community College Adjunct Professor Richard E. Mezo passed away at his Stafford County home on Sunday, July 6. In addition to being a teacher, he was a veteran of the U.S. Navy and U.S. Air Force, an author and a poet. Having been subjected to waterboarding as part of his military training, he wrote a 2008 op-ed column, “Why it Was Called Water Torture,” that appeared in The Washington Post and The Free Lance-Star and provided first hand insight. Richard E. Mezo, a veteran of thirteen years of military service, entered the USAF in 1954 and the USN in 1962. He served as an enlisted man, as a supply specialist in the Air Force and an electronics technician in the Navy. His duties included overseas service in the Northeast Air Command in Newfoundland, on the U. S. S. Bon Homme Richard (the second one) in the Pacific, and as a flight crew member in a patrol squadron. As a radio/radar operator on the P-2V and later P-3A antisubmarine warfare aircraft, he was required to undergo survival training; his squadrons tracked submarines along the Pacific coast and were deployed to the Aleutian Islands. Upon his discharge in 1967, Mezo attended San Diego State College for an A. B. and an M. A. in English; then he transferred to the University of North Dakota, where he was awarded the Ph. D. in English Language and Literature in 1978. In 1988, he returned to Western Washington University for a graduate course of study in Education, leading to his certification as a public school teacher. Dr. Mezo taught English language and literature at universities, colleges, and high schools in the United States and overseas and on military bases. He has written and published several books and continues to publish in various magazines and journals, both professional and creative. He has been a College Board reader for the examination in AP English literature, a field bibliographer for the Modern Language Association, and a reader of grant proposals for the U. S. Department of Education. He is listed in Who's Who and in the Directory of American Poets and Fiction Writers. He teaches composition, literature, and developmental English part-time at Germanna Community College's Fredericksburg Area Campus in Spotsylvania.